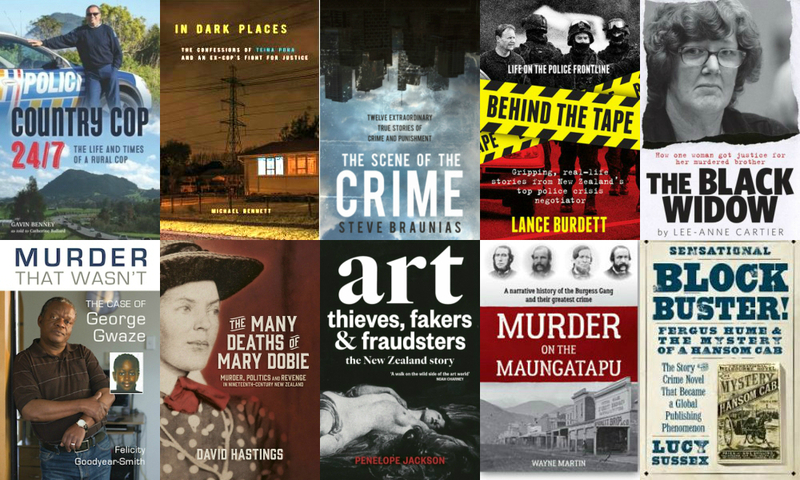 Big news in the New Zealand crime writing world earlier this week, with the revelation by The Spinoff that the Ngaio Marsh Awards have added a new, third, category, for non-fiction books. The new category is biennial, to begin with; books by New Zealand authors published in 2015 and 2015 are eligible for the inaugural prize. While most entries are expected to be true crime books, the award is also open to non-fiction works of crime-related biography and crime-fiction guides. The judges of the new prize are: Scottish crime writer Douglas Skelton, who has published 11 true crime books as well as six crime novels; lawyer and former magazine editor Darise Bennington; missing persons expert and true crime author Scott Bainbridge; and Coast FM book reviewer Stephanie Jones, who is also a judge of the Best Crime Novel category. "Great true crime tells a story as captivating as any novel, and in some ways it can be more powerful because it happened, and because the writer can give a voice to the perpetrator/s, the victims and survivors, the investigators and prosecutors and defenders, and others," says Jones. "The writer can also show that a true crime story often doesn’t wrap up as neatly as a fictional one, and there may be plenty of loose threads and unanswered questions." Entries are now open for the Ngaio Marsh Award for Best Non Fiction. The winner will be announced, alongside the winners of the Best Crime Novel and Best First Novel categories, at a WORD Christchurch event to be held in October. The finalists for all three awards will be revealed in August. You can keep up with all the Ngaio Marsh Awards happenings - awards, finalists, events, and more - by liking the Facebook page or following the awards' Twitter account.